AO disallowed an amount of Rs. 23,42,772/- out of traveling expenses of Rs. 89,15,775/- claimed by the assessee company on account of traveling expenses on the ground that no supporting document or any submission by the assessee company has been filed to substantiate the purpose of these visits, the events or meetings. The ld. CIT (A) deleted the addition of Rs.23,42,772/- keeping in view the fact that since the assessee company is providing services to the investing companies, interest in investment in various companies working in India and the assessee company has been arranging meetings of the investing companies that the prospective client-age of investing companies for which assessee company was charging 17% and 15% over and above the total expenditure incurred by it in respect of providing their services. So when the assessee company is operating under cost plus mark up arrangement charging 15% and 17% over and above such expenses the amount has been incurred on behalf of the investor companies, the same are certainly business expenses. Assessee company produced vouchers as well as email communications qua the meetings organized by the assessee company qua expenditure in question. Assessee company explained that Shri Ajit who has availed of the air travel services is the representative of Murugun Capital and Shri Ram is the representative of Sherpalo Mauritius LLC from whom the assessee company is charging cost plus 17% and 15% respectively for entire traveling expenses. So when the traveling expenses have been incurred by the assessee company on behalf of the associated company with 17% and 15% markup over and above the total expenditure, for which vouchers as well as email communications have been produced, the ld. CIT(A) has rightly and validly deleted the addition of Rs. 23,42,772/-. So ground no. 3 is determined against the Revenue. “1. The Ld. CIT (A) has erred in law and on facts in deleting the addition of Rs. 7,83,150/- made by the AO on account of dis allowance of legal and professional charges. 2. Briefly stated the facts necessary for adjudication of the controversy at hand are : During the scrutiny proceedings, Assessing Officer noticed that the assessee company has claimed legal and professional charges to the tune of Rs. 15,12,000/- paid to M/s. Luthra & Luthra and Insight Alpha but the AO found Rs.2,37,150/- and Rs. 5,46,000/- paid to Luthura and Luthura and M/s. Insight Alpha respectively not in the nature of business expenditure of the company and made addition thereof to the income of the assessee company. AO further disallowed an amount of Rs.6,43,236/- claimed by the assessee company as entertainment expenses for organizing a branch event in hotel Intercontinental Marine Drive on the ground that except one invoice dated 21.12.2010 on which guest name is not legible and another invoice dated 24.11.2010 only ‘Function at Dome’ has been written. AO further disallowed an amount of Rs. 23,42,772/- out of traveling expenses claimed by the assessee company to the tune of Rs. 89,15,775/- on the ground that two major traveling expenses of Rs. 10,05,936/- and Rs. 13,36,836/- made to Taj Air Limited on 12.04.2010 and 10.11.2010 on the copy of vouchers bearing description ‘private jet falcon for Ram/Ajit’ has been furnished without any supporting documents. 3. Assessee carried the matter by way of filing appeal before the ld. CIT (A) who has deleted the addition by allowing the Feeling aggrieved, the Revenue has come up before the Tribunal by way of challenging the impugned order passed by ld. CIT (A). 4. We have heard the ld. Authorized Representatives of the parties to the appeal, gone through the documents relied upon and orders passed by the revenue authorities below in the light of the facts and circumstances of the case. 5. Ld. DR for the Revenue challenging the impugned deletion of Rs. 7,83,150/- contended that these expenses cannot be treated as business expenses. So far as amount of Rs. 2,37,150/- paid as legal and professional fee to M/s. Luthura & Luthra is concerned, undisputedly the assessee has filed its submission dated 17.01.2014 along with bills and the assessee has duly explained before the ld. CIT (A) that these legal expenses were incurred to settle a police complaint filed against the Director, Shri Sandeep Murthy by some of its investors against the Director and the company in their official capacity. It is also brought on record by the assessee company that the allegations in the complaints were of criminal breach of trust by one Shri Rabi Singh against Shri Sandeep Murthy and Shri Ram Sriram. 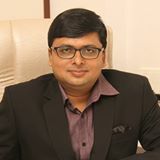 When the assessee company has found FIR against Directors of the company, there cannot be any dispute that the Directors were arrayed as accused in their official capacity and these expenses are certainly business expenditure and ld. CIT (A) has rightly and validly allowed the same by deleting the addition. 6. So far as an addition of Rs. 5,46,000/- made by the AO and deleted by ld. CIT (A), claimed by the assessee company under the head ‘legal and professional expenses’ paid to M/s. Insight Alpha for private phone consultations is concerned, ld. CIT (A) while deleting the same relied upon one consultancy agreement entered into between the assessee company and M/s. Insight Alpha effective from 12.11.2010, recital of the agreement (supra) as reproduced by ld. CIT (A) in para 8.4 of the impugned order is comprehensive enough to prove that the amount has been charged as hourly consulting charges necessary for the business of assessee company as an investment consultancy company. Moreover, assessee company has produced invoice before AO which has been duly examined by the ld. CIT (A) in the light of the agreement (supra). Moreover, when genuineness of these expenses have not been disputed by the AO, we find no illegality or perversity in deletion of addition of Rs. 5,46,000/- by ld. CIT (A). So ground no.1 is determined against the Revenue. 7. AO disallowed the amount of Rs. 6,43,236/- claimed by the assessee company on account of entertainment charges for want of link of such activities to the business of the assessee company and on the ground that the invoice of the hotel was not legible. Ld. CIT (A) deleted the addition on the ground that the assessee company has produced copy of invitation card and communication through email to various dignitaries including known industrialists to attend the annual day celebration. The assessee company produced two invoices, namely, invoice dated 21.12.2010 whereupon guest name is not legible and another invoice dated 24.11.2010 whereupon Function at Dome has been written before the AO. First of all, ld. CIT (A) has not given the date of Annual Day allegedly celebrated by the assessee company nor he has got clarified from the assessee company as to why the two invoices one dated 21.12.2010 and another dated 24.11.2010 have been raised when it is also not explained by the assessee company before the AO as well as ld. CIT (A) if the Annual Day function took placed on 21.12.2010 and 24.11.2010 or two Annual Day functions were organized. At least invoices relied upon by the assessee company were required to be in the name of the assessee company with legible name of the, so both the bills relied upon by the assessee company cannot be connected with the assessee company or its business. So we are of the considered view that the ld. CIT (A) has erred in deleting the addition of Rs.6,43,236/-. Hence, ground no2 is determined in favour of the Revenue. 8. AO disallowed an amount of Rs. 23,42,772/- out of traveling expenses of Rs. 89,15,775/- claimed by the assessee company on account of traveling expenses on the ground that no supporting document or any submission by the assessee company has been filed to substantiate the purpose of these visits, the events or meetings. The ld. CIT (A) deleted the addition of Rs.23,42,772/- keeping in view the fact that since the assessee company is providing services to the investing companies, interest in investment in various companies working in India and the assessee company has been arranging meetings of the investing companies that the prospective cientage of investing companies for which assessee company was charging 17% and 15% over and above the total expenditure incurred by it in respect of providing their services. 9. So when the assessee company is operating under cost plus mark up arrangement charging 15% and 17% over and above such expenses the amount has been incurred on behalf of the investor companies, the same are certainly business expenses. Assessee company produced vouchers as well as email communications qua the meetings organized by the assessee company qua expenditure in question. 10. Assessee company explained that Shri Ajit who has availed of the air travel services is the representative of Murugun Capital and Shri Ram is the representative of Sherpalo Mauritius LLC from whom the assessee company is charging cost plus 17% and 15% respectively for entire traveling expenses. So when the traveling expenses have been incurred by the assessee company on behalf of the associated company with 17% and 15% markup over and above the total expenditure, for which vouchers as well as email communications have been produced, the ld. CIT(A) has rightly and validly deleted the addition of Rs. 23,42,772/-. So ground no. 3 is determined against the Revenue. Resultantly, the appeal of the Revenue is partly allowed. Order pronounced in open court on this 21st day of November, 2017.